The lowest bid submitted by a contractor for the demolition of the former Carrollton Plaza Shopping Center at 1000 and 1100 E. Dixie Dr., will be presented for approval during the Oct. 23 city council meeting. Green City Demolition, based in Cincinnati, submitted a bid of $662,450 for the project, which includes clearing utilities, removing buildings, abating asbestos materials, closing wells and grading the former Roberds and BDI/Flack building site. Five other contractors submitted bids for the project, with estimates ranging up to $1,059,975. The project is expected to begin in early November and will be managed by Patriot Engineering and Environmental, Inc. Demolition is expected to be complete by the spring 2019. Much of the concrete and asphalt will be crushed, compacted and used to level off the sloped elevation at the site, according to Mike Lucking, economic development director for the city of West Carrollton. The city purchased the property in April 2017. “We know the property will have much more value to developers when it’s cleared,” Lucking said. The property is a key parcel in the city’s future plans for the Miami Bend Entertainment District, which is located adjacent to the Great Miami River with immediate access to Interstate 75. 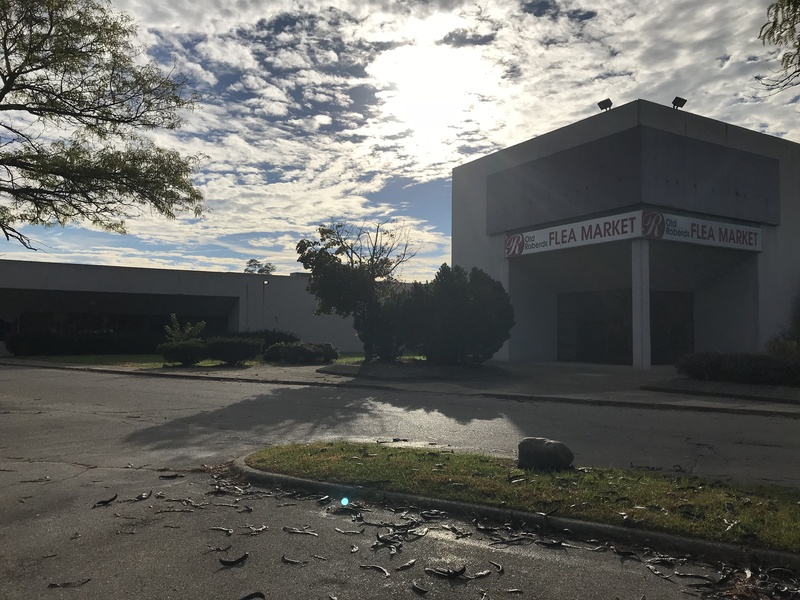 “With the location being at the gateway to our city and in view of approximately 100,000 vehicles traveling by each day on the highway, this property presents an excellent redevelopment potential,” Lucking said. “We’re looking forward to actively working with the development community to find the right end-user for this site. One remaining tenant, Bernstein’s Catering, is expected to vacate the space by Oct. 31. The city plans to host demolition kickoff event on Monday, Nov. 5, before the demolition begins. For more information contact the project manager Michael D. Weinstein, regional environmental manager of Patriot Engineering, at (513) 817-1600. Call Mike Lucking, West Carrollton economic development director, at (937) 847-4643.